My friend, Mick called back to us as we crossed the upper reaches of the mountain. This was it. This was the moment I’d been waiting over two years for. It was 7:45 AM, we’d been climbing since 12:30, having rustled out of our tents under gray skies at 11:30 the night before. My crampons dug into the snow, while my calves were trying and failing to bear the weight of my exhausted body. Every part screamed to stop and catch breath, as the summit ridge lay smothered in thick clouds. I was now at the highest elevation that I’d ever climbed, and the altitude made itself known, sucking out breath and energy as we walked by crevasses that fell into abyss-like depths. My pack, which was light, considering we had taken out the tents and cooking gear, felt like a ton-weight on my shoulders, bearing down on me with every step. I looked over my shoulder and in the break of the clouds, I could see the face of the mountain, bathed in a golden light from a partially obscured rising sun. I’d seen the sunrise on Rainier once before, but this time it was different. While in 2012, the sunrise over thick clouds was a forewarning of the storm we were about to run into, this time, it was hopeful and joyous, making us turn off our headlamps, and guiding to the long-awaited summit. We climbed up a final steep snowbank, the spikes under our boots digging just millimeters into the thin ice and reached a plateau under a stony field of talus, that lead to the true summit. My companions forged ahead while I took an extra moment to regain my strength for the last 50-feet. 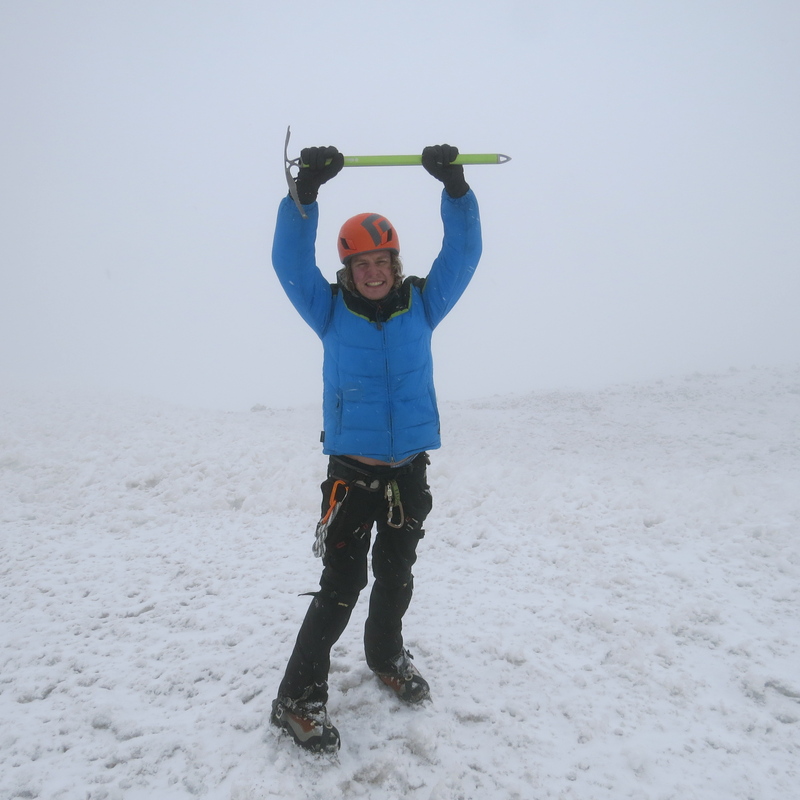 Mick stayed with me and treaded behind as I began the exhausting climb up the ridge, my ice axe digging into the soft stones, as clouds enveloped the trail. I looked over to my left and in the break, I could make out the crater of this semi-active volcano, while the snow swirled all around us, coating my blue puffy jacket. As I got closer, I could see misty figures on the plateau, arms raised, cheering, beckoning me, and my eyes began to well. I heard the calls “C’mon Mike!”, “You got this!” and I stepped across onto the flat surface. My companions were cheering around me, I clutched my axe and felt a hand comfortably pat my back. 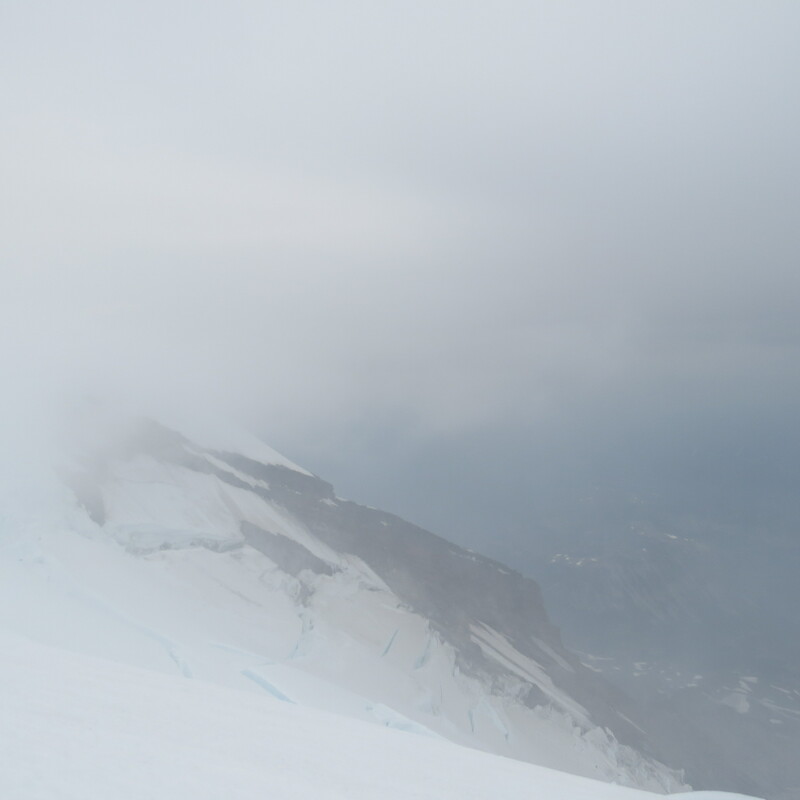 At 14,411-feet, Rainier isn’t the hardest, steepest, or highest mountain, from a climbing point of view. People have set all sorts of records: done in a day, done twice in a weekend, some of the masters have recorded over two hundred summits over the course of their careers. But despite it’s reputation, this mountain holds special significance for me. 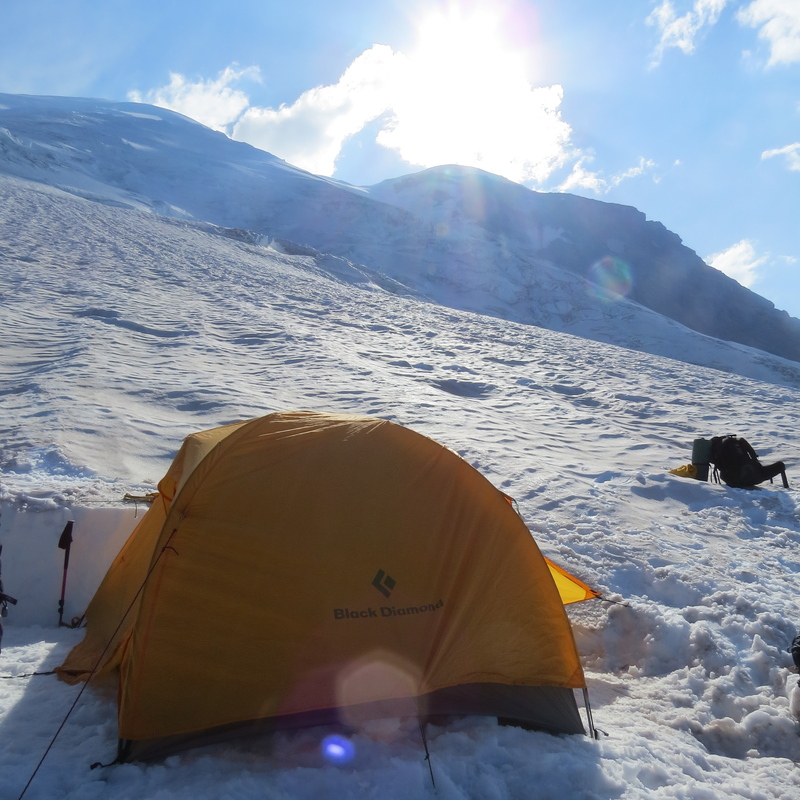 In 2012, I felt like I knew what I was doing, and I felt confident to take on my first glacial climb, my first time climbing and ascending on snow and ice. It transpired as one of the toughest days of my life. Rainier still is the only mountain that broke me down physically, mentally, and emotionally, so much so that as I was coming down from that trip, I nearly swore that I’d never climb again. When I moved to Seattle, I knew that this is the one that I wanted most, and I needed my second chance. A fateful meeting with my friend Mick, who ran guiding company Kaf Adventures, assured that it was possible, and he laid out a plan to get me there. Every trip was a lesson in trial and error. We learned glacial movements, but a tough lesson on no-go calls on Mt. Hood. 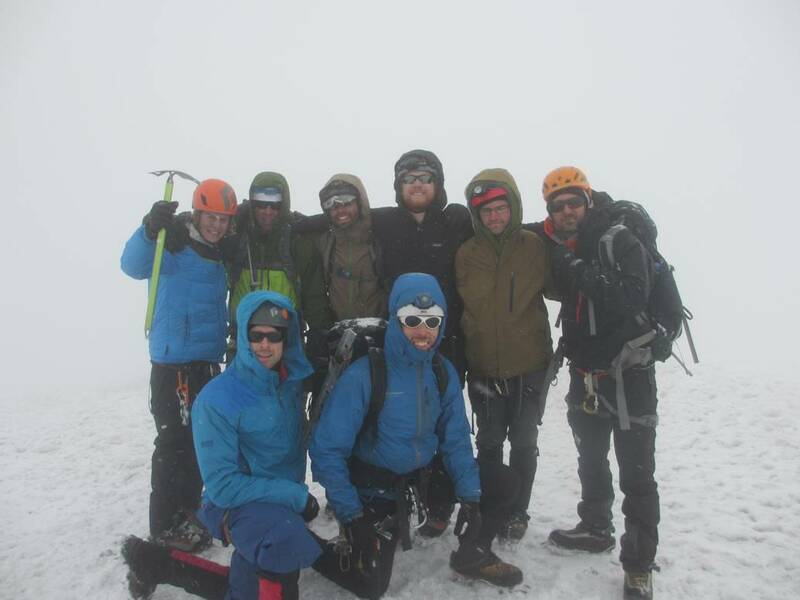 I learned effective organization and perfecting steps and travel in the Boston Basin, and after three-months of education and conditioning, and a disorganized no-go on my part, we took off for Mt. Rainier on August 10. 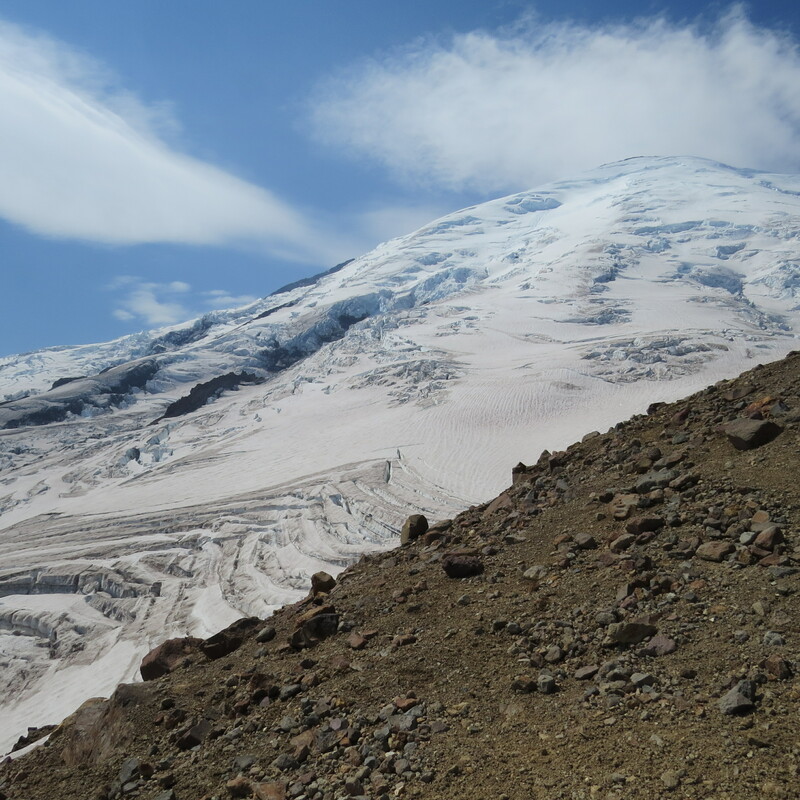 Our route would take us through Glacial Basin, up the Inter-Glacier snowfield, passed small crevasses, cross over to the upper Emmons, unite at Camp Schurman, and ascend slightly higher to camp at Emmons Flats. From here, in the dead of night, we would begin out ascent and climb for over eight hours for the summit. At Emmons Flats, we spent the better part of the afternoon digging the platform for our tents, and quickly settled inside. 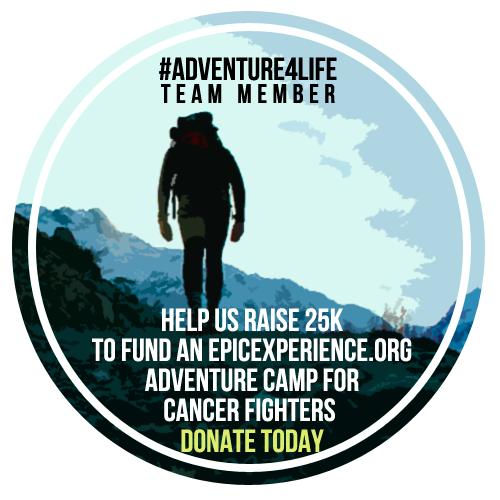 As we nestled into our sleeping bags, we began to hear the unmistakable pitter-patter of rain and hail on our tents, as lightning and thunder crashed against the sky. We all knew the consequences of the weather, and with just over four hours before go-time, I was already typing the blog-post in my head, explaining why I’d have to wait another year to try again. I settled into an uneasy sleep, half between consciousness and a nap, waiting to hear how much the rain was going to let up. As I woke up around 11:15, not sure whether I had actually slept, I heard dead silence, and silently laid my head back, rejoicing in a small victory. The alarms went off, and my tent mates, Lenny and Scott, rustled to life, as Vincent and Brian did the same in theirs, quickly dressing and packing with minimal words shared, as we all shared the excitement. Our crew, Mick, Paul, Kevin, and Joel, filled our bottles and set our breakfast out, a few bagels and granola with powdered milk, as they explained what was at stake. The clouds were thick, partially blocking the full moon that beamed down so brightly that we barely needed headlamps. They explained that we were going to climb as fast as we could, circa 700-feet per hour, but if we heard the expected crackling of lightning or the roar of thunder, then all bets were off and we’d turn around in our tracks. There was pressure, excitement, and an air of uneasiness. We hooked into our rope teams and headed up the trail. The trail up Rainier is partially laid of, thanks to the other teams that tread the path before us, leaving a near flat surface to walk upon. While it make the trail visible, it’s only a guideline, not an absolute, and it didn’t make the uphill portions any easier. The cloud cover on the upper portion of the mountain. We walked across mixed features, through exposed boulder fields and patches of ice, where we engaged every spike of the crampons. While there were times where we would traverse across a flat path, a majority of the time we were beelining up the slope, pushing our calves to their absolute limits. As I dug my legs into the terrain, my mind wandered to other places and I tried to stop focusing on the fatigue and keep picking out spots along the route, telling myself “I only need to get there.” During the entire trip, I must have looked up just barely over a dozen times, keeping my eye gaze and focus on my foot placements, and my head low. We walked in and out of thick cloud banks, covering the upper slopes, and as we navigated the bergschrund as well as dicey crevasse crossings, we could see the summit ridge, seemingly furthering with every step we took. There is a famous episode of The Simpsons, where Homer climbs to the top of the highest mountain and thinking that he reached the top, only to find that the true summit was obscured by the clouds. Every false plateau only revealed another slope, fueling a momentary morale-buster and pushing my already tired body even farther. All my climbing partners were still pushing strong and I felt like the weak one of the group. I hadn’t realized we’d reached the final plateau until we were on flat land, everyone had stopped, and we dislodged from our rope teams. The moment I stepped onto the summit was a significant moment in my life. Embrace failure. Live moments as they happen. Make victories sweeter. I took a lot from 2012 on this trip, and the experience that I’ve gained paid off. Thank you to everybody that supported me, and here’s to the set of goals. Nice work Mike I am truly blessed to have your support in climbing! Wouldn’t have been possible without you. Thank you!